The best Lemon Sugar Cookies! 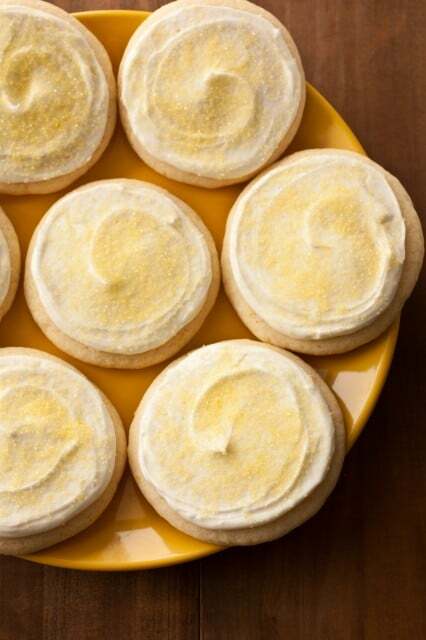 You get a cake-like, soft sugar cookie that’s just like the Lofthouse sugar cookies. 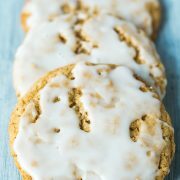 These cookies are flavored with bright lemon extract and are finished with a sweet, creamy lemon frosting. Everyone will love these fun summery cookies! The Best Lemon Sugar Cookies! I think I could make about 100 flavors of sugar cookies. They have always been one of my favorites and they really are quite versatile. I was hesitant to post this soft sugar cookie recipe, because if I ever open a bakery in the future I want these lemon sugar cookies to be there. And now everyone will already have the recipe! They are too good not to share. 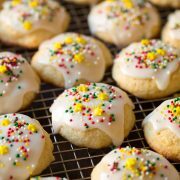 I adapted the recipe for these from my favorite Frosted Sugar Cookie recipe. I felt I finally found my idea of the perfect sugar cookie, so now I can use it as the base to make other exciting flavors such as these. 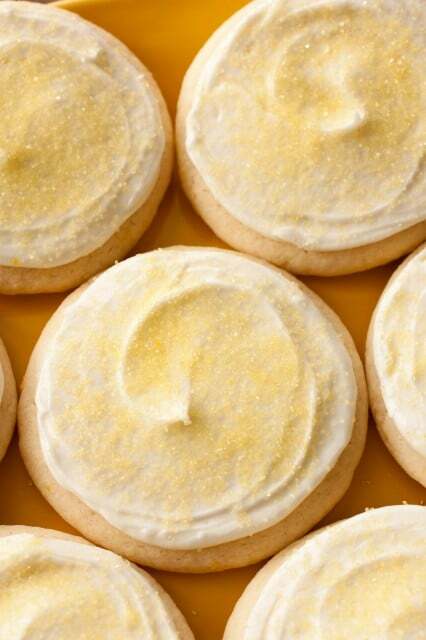 These amazingly soft, frosted sugar cookies are bursting with fresh lemon flavor. They may transport you to summer for just a moment, even in the middle of a cold winter day. Lemon was never one of my favorite flavors growing up, but it seems to be the older I get the more I love it. It adds a vibrant and lightly tart flavor, and it balances out the sweetness in many desserts, such as these. Don’t let too many days go by without making these cookies. These thick and fluffy Frosted Lemon Sugar Cookies should be on your must try asap list! Combine flour, cornstarch, baking powder and salt in a bowl. Set aside. Whip together butter, shortening, sugar and lemon zest until pale and fluffy. Add in egg, egg white, lemon and vanilla extracts and mix until combined. Add in the dry ingredients and mix until just combined. Refrigerate dough for 2 hours. Preheat the oven during the last 10 minutes of chilling. Roll dough into balls, then flatten then with something flat and smooth. Bake 9 – 11 minutes. Once cooled, top with lemon frosting. Can I Use Extra Butter Instead of Shortening? The shortening is vital in this soft sugar cookie recipe. It helps give the cookies their pillowy, melt-in-your-mouth texture. Do I Have to Refrigerate the Dough? Yes, refrigerating the sugar cookie dough is crucial. If you don’t chill the dough, the lemon sugar cookies will spread in the oven and the texture won’t come out right. Allow the cookies to cool completely before frosting them. If you frost them while warm, the lemon frosting will melt. Unlike vanilla extract, you really can’t eyeball lemon extract. If you accidentally add more lemon extract than the recipe calls for, these lemon cookies will be too strong. Make sure your shortening is unflavored (some are butter flavored, which isn’t what you want!). The best Lemon Cookies! 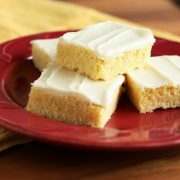 You get a soft, cake like, lofthouse style sugar cookie that's flavored with bright lemon and finished with a sweet creamy frosting. Everyone will love these fun summery cookies! In a bowl combine flour, cornstarch, baking powder and salt and whisk for 30 seconds, set aside. In the bowl of an electric stand mixer, whip together butter, shortening, sugar and lemon zest on medium speed until very pale and fluffy, about 4 minutes, occasionally scrapping down the sides of the bowl. Add in egg and mix until combine, then add egg white, lemon extract and vanilla extract and mix until combined. With mixer running, slowly add in dry ingredients and mix just until combined. Transfer dough to an airtight container and refrigerate 2 hours. Preheat oven to 375ºF during the last 10 minutes of refrigeration. Scoop dough out an even 1/4 cup at a time and roll into a ball. Place dough ball on a lightly floured surface, sprinkle top lightly with flour, then using something flat and smooth (such as the storage container lid), press and evenly flatten dough to 1/2" thick (so you should have about a 2 2/3" - 2 3/4 " circular cookie). Transfer flattened dough to a Silpat lined cookie sheet (fitting 6 cookies per cookie sheet) and repeat process with remaining dough. Bake in preheated oven 9 - 11 minutes. Allow to cool 5 minutes on baking sheet before transferring to a wire rack to cool. Cool completely then frost. For the Lemon Frosting: Combine all ingredients in a large mixing bowl, using an electric hand mixer, whip until frosting is smooth and fluffy. Mix in food coloring if desired or sprinkle cookies with yellow sprinkles. Unlike vanilla extract, you really can't eyeball lemon extract. If you accidentally add more lemon extract than the recipe calls for, these lemon cookies will be too strong. Make sure your shortening is unflavored (some are butter flavored, which isn't what you want!). Ara: I just made these for our Easter celebration. They are WONDERFUL. I will be making them again.